On a flying errand this week to the Fulham Road – a special book for a special occasion required urgently by a customer. To Peter Harrington’s, of course, home of the special book. 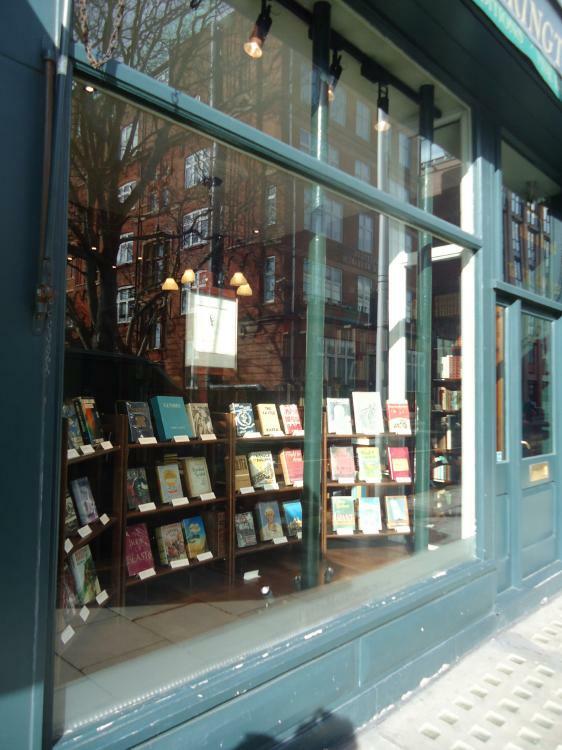 Not one of the grand old names of the book trade, but from modest beginnings in Chelsea Antiques Market a little over forty years ago, now assuredly up there amongst the very finest bookshops in the world. Renowned not just for such things as those pictured in a new window display of dust-jacketed rarities, but for books right across the board. This is a firm that has handled some extraordinary books in recent years – from a Shakespeare first folio to the publisher’s copy of Huckleberry Finn – “the first copy ever bound”. Stock in depth and of unrivalled quality – a judiciousness not just in acquiring material but in acquiring staff as well. Pom Harrington, son of the founder, has been in charge for the last fourteen years. Working alongside him now are Adam Douglas (ex Simon Finch), Glenn Mitchell (ex Maggs), Ian Smith (ex Quaritch), Joe Jameson (ex Charles Traylen), Ben Houston (former manager of Biblion), Emma Doyle (ex Classic Bindings), as well as ex solo-operators Adam Blakeney and Kevin Finch, now given a broader platform for their talents – and others as well. This is bookselling run along proper business lines. It is the business against which the rest of us must measure ourselves. Treat yourself to a visit. A true anecdote will suffice to give an indication of their standards. 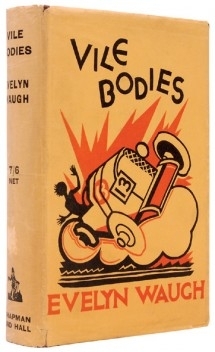 They rejected a book of mine they had on approval a while back as not being in quite good enough condition for their customers – fair enough, it wasn’t flawless. The book was still sitting on a table waiting for me to reshelve it when I was paid a visit the very next day by an old-time bookseller with a shrewd and long-experienced eye: he seized upon it immediately. 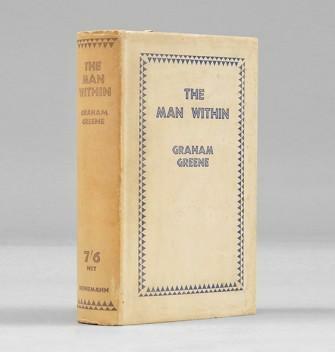 “What a lovely copy – I’ve never seen a better one. I’ll take that”, he said admiringly and unhesitatingly as he added it to his pile. 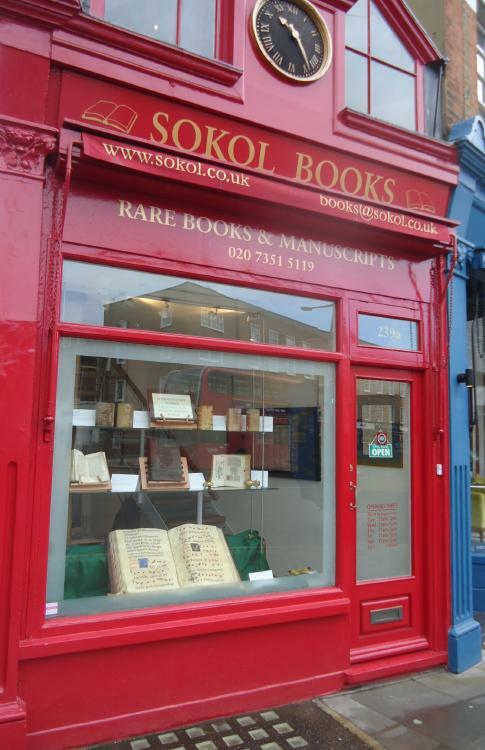 If any more incentive for a visit were needed, you will now find a more recently opened bookshop just across the road – Sokol Books Ltd. Not a newcomer to the trade, Christopher Sokol has been around for thirty years or more, but until now always sequestered in private premises. And not entirely a new bookshop – it used to belong to Charles Russell, now removed to Cirencester. A small shop, admittedly, but full of treasures. Nothing in anything as outré as a dust-jacket here, the emphasis is entirely on early printed books (mainly before 1640) and on mediæval and renaissance manuscripts. 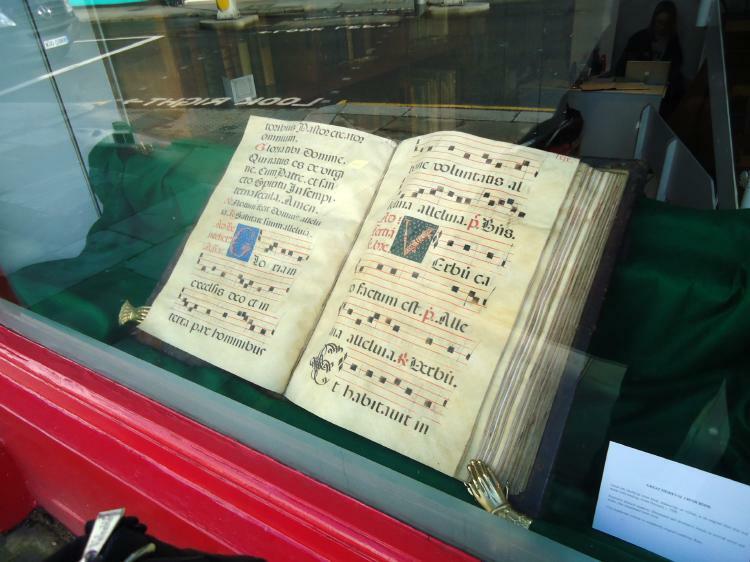 The pictures of a couple of recent acquisitions and the giant mediæval choir book in the window will give you the flavour. Soothing shelves of old vellum. Richard Cosin, An Apologie for Sundrie Proceedings by Iurisdiction Ecclesiastical (London, 1593) in a fine contemporary Oxford binding. It was actually something of shock to find in some modern books in a corner – modern in these terms meaning only 200 or so years old – early nineteenth century. I was so shocked I actually felt compelled to buy a book to spare them the continuing embarrassment of having a book on the shelves published so recently (1838) as to be in publisher’s cloth (a sparkling copy of a rare, important and unduly neglected book on the underside of London life – the Dickensian world of debtors’ prisons, workhouses, asylums and gaming-houses – that I was very pleased to have). 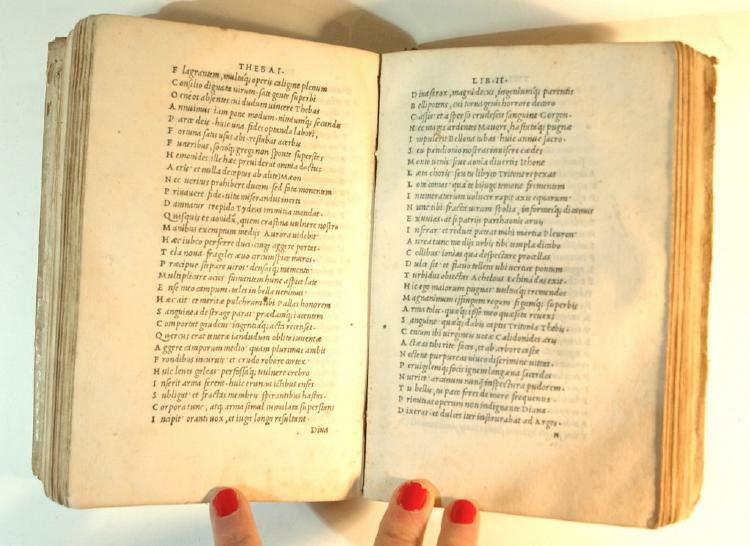 An Aldine Statius, Sylvarum Libri Quinque … (Venice, 1502). 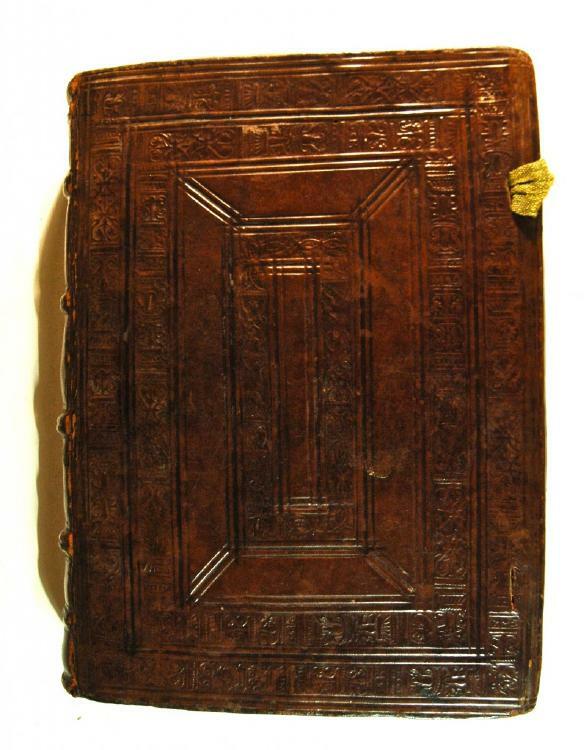 Everyone understands that there are books that you won’t see outside a museum or a library, but not everyone realises that there are many books that won’t see in a museum or a library –not these copies and in this condition. I find it extraordinary that in these two shops in this tiny quarter of Chelsea you will see so many books of which this is true. A tribute to the London book trade. And not only can you see these books, you can touch them, handle them, savour them, discuss them with someone who truly understands them – and even buy them. You can’t do that in a library. What are you waiting for? This entry was posted in Book Collecting, Booksellers, Bookshops and tagged Chelsea, Christopher Sokol, Peter Harrington. Bookmark the permalink. A lovely tip of the hat to your London colleagues. But what was the 19th-century book you bought from Sokol? I want it already, to go with my Doré’s London and Mayhew’s London Labour.